Breville vs. Jack Lalanne Juicers: Which is the Best Juicer? Home » Juicer Reviews » Breville vs. Jack Lalanne Juicers: Which is the Best Juicer? Are your trying to decide which is the best juicer between Breville and Jack LaLanne juicers? A side-by-side comparison reveals which is better. With so many different brands of juicers available on the market today, it’s tough to figure out which one you should purchase. Taking the time to do some research is important so you choose a juicer that will be budget friendly while providing you with the quality service you expect. Two popular brand names include Jack Lalanne and Breville. If you’re not sure which brand of juicers you should consider, here is a closer look at a comparison of these two juicers so you can decide on the one that will work best for your juicing needs. First, as you are comparing Breville juicers and Jack Lalanne juicers, it’s important to look at the motor power that they both offer. You’ll find that the Breville juicers offer 1000 watt motor power, while the Jack Lalanne models only offer 250 watt motor power. The power of the motor is important, since it affects the durability of the motor and also the quality of juice you get. Weaker motors, such as those in the Jack Lalanne juicers struggle more to break down some of the harder vegetables and fruits. A higher power motor will juice your fruits and vegetables faster too. Another thing to consider when comparing juicers is the speed settings that are offered. While the Jack Lalanne models only have one speed setting, the Breville juicers come with two settings. Having two settings is definitely beneficial, since it allows you to adjust the power based upon the fruits and vegetables that you are juicing. If you’re simply juicing something like spinach, you won’t need as much power as you will to make hard carrots into juice. It’s very important to consider the juice quality. 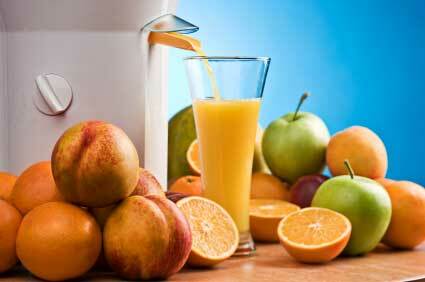 The main reason to juice is to get high quality juice that is filled with nutrients. The Breville juicers have the higher powered motor, which means it offers more juice than most other juicers, including the Jack Lalanne juicers. Take a look at the pulp on a machine. If it is very dry, you are getting as much juice as possible from the product. Jack Lalanne juicers often have wet pulp, while the Breville juicers have very dry pulp, so you’re getting more juice and higher quality juice with the Breville options. When you are juicing on a regular basis, you don’t want to be hampered with extensive cleanup each time you use your juicer. Many consumers report that Jack Lalanne models are hard to clean, especially the mesh filter that comes with the machine. On the other hand, Breville juicers are easy to clean up and many of the parts can simply be put in the dishwasher, making cleanup a breeze. Durability and warranty should definitely be considered as you are choosing your juicer. 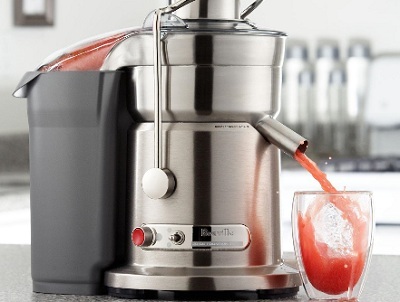 When it comes to durability, the Breville juicers stand out, holding up well to juicing. However, Jack Lalanne juicers are easily stained and the smaller motor means that wear and tear starts showing quickly and the motor is more likely to die. The Breville offers a one year warranty, while the Jack Lalanne juicers have a 90 warranty on all parts, except the motor, which has a limited lifetime warranty. Overall, the Breville juicers appear to be the better option. Breville juicers have more motor power, two speed settings, they product more juice and high quality juice, they are easy to cleanup, and they are durable too. While you’ll pay more for the Breville juicers than you will for the Jack Lalanne juicers, for those serious about juicing, this is a wise investment.